The GDS Academy provides people with the digital and technology skills needed to transform public services. It is open to civil servants, local government employees, devolved administrations and other public servants. Previously known as the Digital Academy, it began life in a room at Fulham Jobcentre. Initially it was set up to grow in-house digital capability and upskill civil servants at the Department for Work and Pensions. From these humble beginnings, the GDS Academy has grown to be a centralised public sector training resource. Today, there are 4 academies in London, Leeds, Manchester and Newcastle and our model has influenced other international governments to set up their own versions. We will continue to develop by opening academies in more locations and offering a wider range of courses and programmes. This will help ensure we continue to deliver on one of the Government Transformation Strategy’s ambitions of having one of the most digitally skilled group of public servants in the world by 2020. We are growing nationally, internationally and in the training we provide. Alongside our 4 permanent locations there have been pop-up academies in Birmingham and Newport. In Leeds, we have recently moved into new quarters in a tech incubator hub. We’re investigating new locations to set up in and we’ll continue to run pop-up academies in the meantime. Our international reach is growing. Two GDS Academy facilitators visited Canada to share how we had upskilled our public servants. After this visit, the Canadian Government set up their own version of the GDS Academy. We also offered our support to the Scottish Government when they were establishing the Scottish Digital Academy. Our offering is expanding. We will be training 1,000 people on how we can use data to improve services. And, we have started an ‘Introduction to artificial intelligence in government’ course. We’re increasing the number of local authority students by linking GDS Academy training opportunities to the Local Digital Declaration principles. The Ministry of Housing, Communities and Local Government’s Local Digital Fund provides committed funding for more than 1,000 local authority staff to attend training. And, we’re delivering courses to health organisations, including Public Health England, to help adoption of digital and agile ways of working. Since 2012, the number of Digital, Data and Technology (DDaT) job roles across government has increased and there are now about 17,000 DDaT specialists in government. This growth led to the establishment of the DDaT Profession and the DDaT Capability Framework – a common set of roles, skills and career paths for 38 roles that every government organisation can use. The GDS Academy is aligned with the framework. This means public servants can get the most appropriate learning and development. The training also includes awareness courses for non-specialists and those in digital roles, as well as courses for senior leaders. Our popular 10-day digital and agile foundation course is accredited by the Learning and Performance Institute. We also run a 10-week Emerging Technology Development programme and masterclasses featuring world-leading academics. Students become part of a network of digital professionals that can support each other. We have previously blogged about successful GDS Academy alumni. For example, Katherine Ogilvie at NHS Resolution, who wrote about becoming a digital leader in her organisation after graduating. For the fifth birthday, some students have been tweeting about how the GDS Academy changed their working lives. The GDS Academy has helped 10,000 people to embrace digital ways of working and put users at the heart of their work. 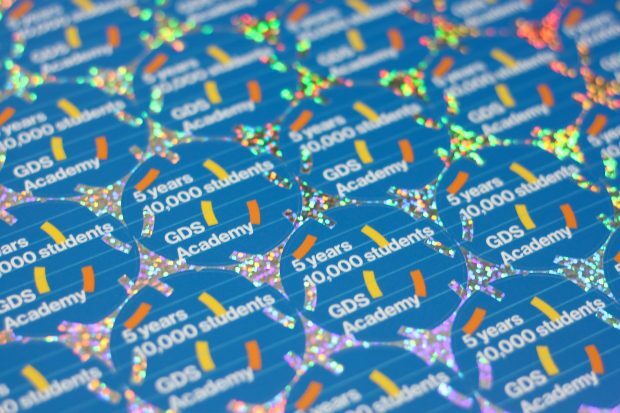 If you are one of the 10,000 students, please share your GDS Academy stories and pictures with us on Twitter @GDSacademy and #GDSacademy10K. Visit the GDS Academy website for more information and for details on how to apply.